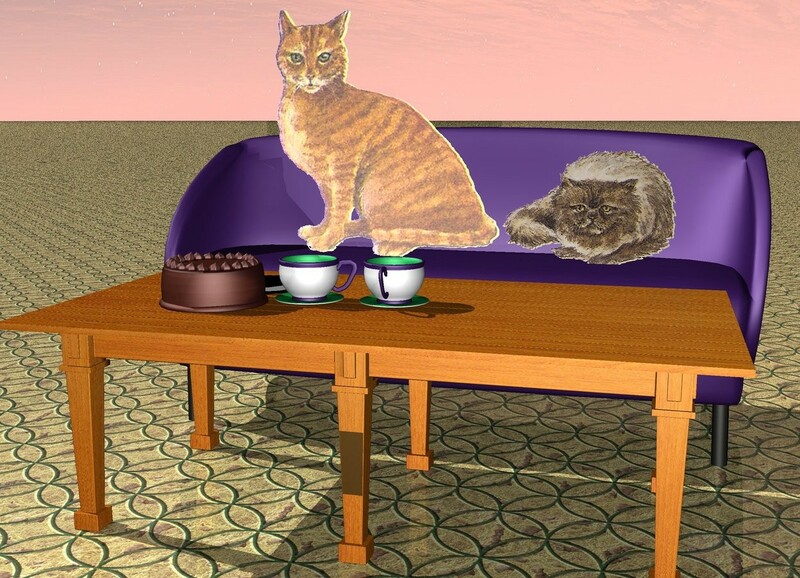 Input text: There are two cats on a couch. there is a table in front of the couch. the table is facing west. large cup on the table. 2nd large cup is next to the cup. large cookie is next to the cup. chocolate cake is next to the cup. the ground is tile.